Acoustic for a Change provides free live entertainment and event-planning guidance so that your next charity fundraiser is a success. AFAC has musicians & event professionals who will donate their time for worthwhile causes like yours in Southern California and Central Florida. We recruit entertainment and event professionals and encourage them to donate their time for the benefit of charities and non-profit organizations. Our goal is to take some of the worry out of your next event so that you can concentrate on doing what you do best: doing good for others. Acoustic for a Change also collects gently used instruments for distribution to local underprivileged kids and/or after school programs. 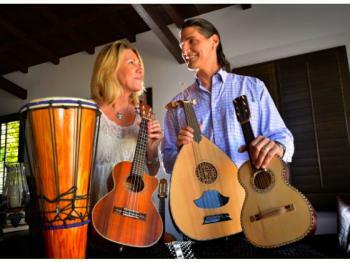 Often, the organizers of various Charity/Fundraising events who use Acoustic for a Change will ask their attendees to bring new or gently used instruments for donation to our cause. They find that aiding another organization adds even greater social value to the event. Help giving musicians connect with worthwhile causes. Encouraging them to share their talents with our community � one event & one student at a time.